Grown By Me | Mostly home-grown, seasonal and vegetarian. Mostly home-grown, seasonal and vegetarian. 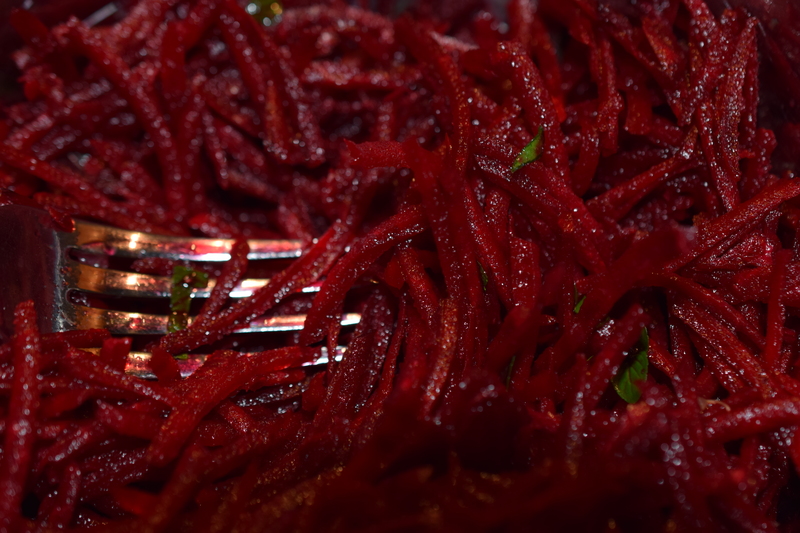 Suddenly we are innundated with beetroot. Much as I try to love this vegetable, I am slightly unsure about its sugary earthiness. However, it’s healthy and abundant, so at the moment it features in almost every pasta sauce, chilli and other one-pot dish I make. I like the way it colours everything a deep pink. 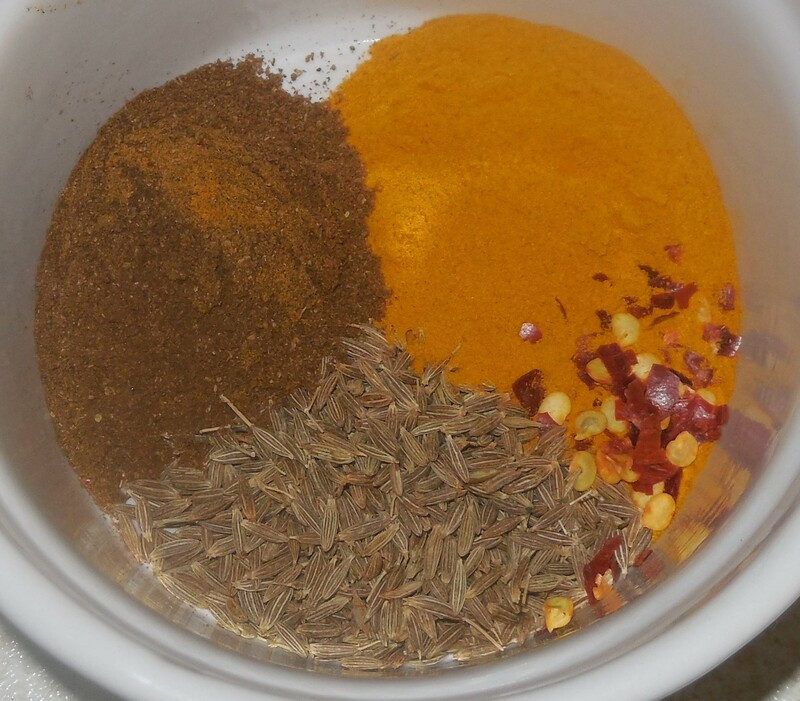 I think it goes particularly well with caraway or cumin. One of my favourite methods is to cut thin strips (by cutting discs a quarter of a centimetre thick and slicing these into centimetre wide strips), stir fry lightly in rapeseed oil with caraway seed, and use as a side vegetable, or even a pizza topping. I also like it roasted in chunks with other seasonal veg – potato, squash, celery, onion, courgette, carrot. 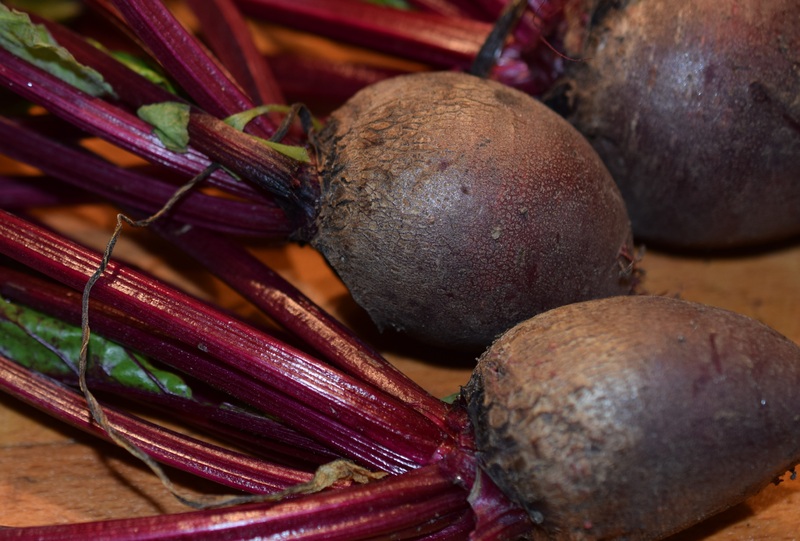 But I think my all time favourite beetroot recipe is from River Cottage Veg Every Day. It’s for a beetroot salad with cumin, walnuts and orange juice. The original recipe is here, though it’s just as good without the walnuts (as in my photo above), and I think I prefer it with mint rather than parsley. It’s even better if you leave it for several hours (or overnight) before eating. Broad bean season is here – yay! 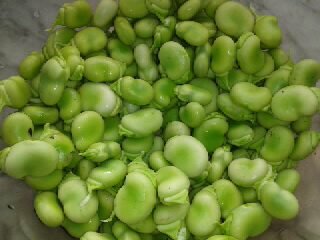 I love broad beans however they are cooked, but one of my favourite ways to eat them is as a cold puree. It’s a very simple recipe – no quantities, I just use as many beans as we have picked. In this case I used some leftover cooked beans from the previous night to make puree on toast for lunch. First steam or boil the beans until tender, then leave/refrigerate until cold. These were young, fresh beans, so I kept them in their skins, but with older beans I would ‘double-pod’ them, i.e. pop them out of their inner skins, which can be a bit tough and slightly bitter on larger or older beans. 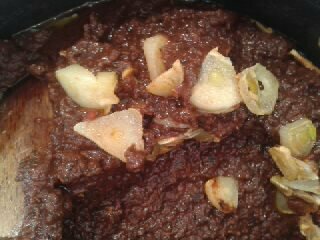 Put in a bowl with the other ingredients apart from the herbs (think salad dressing quantities) and use a stick blender to puree roughly. It’s just as nice with no herbs, but mint, chives or fennel all work well, chopped and sprinkled on top. Spread on toast, in sandwiches, use as dip. It made a particularly nice lunch spread on toast with some allotment asparagus. 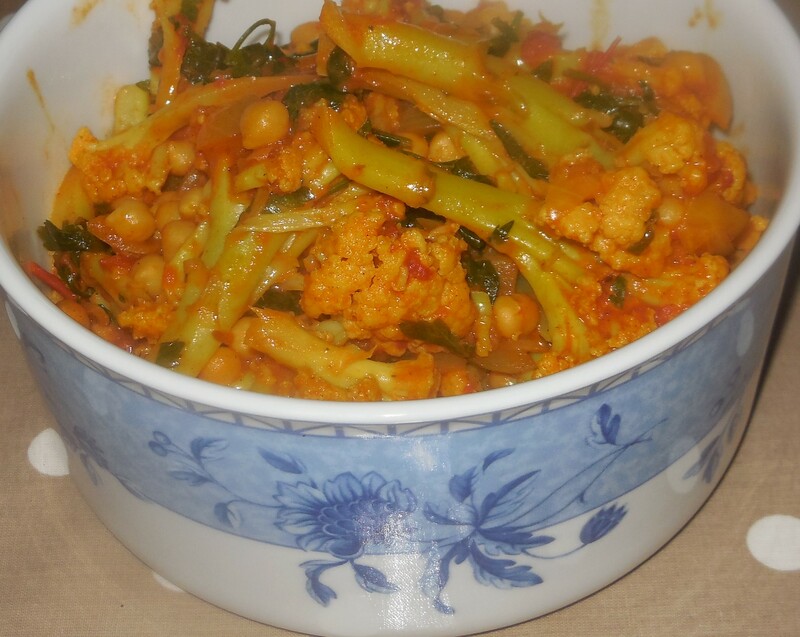 One of our last 3 cauliflowers was ready today (cultivar ‘Walcheren Winter 3 – Armado April’), so I changed my meal plans and did a curry night. A vegan cauli and chick pea one with some of our remaining flat leaf parsley, now rapidly going to seed, and chilli flakes from last year’s ‘Ring o Fire’ chillies. 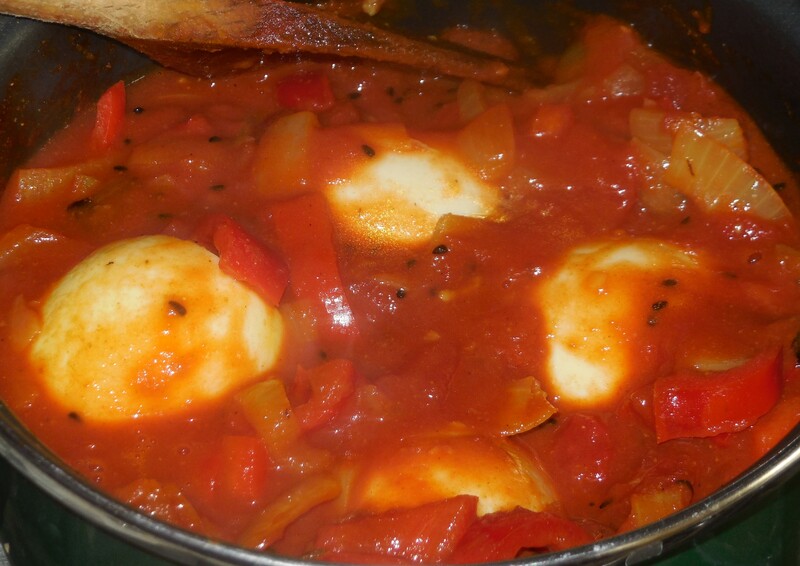 And an egg curry, without any homegrown produce, but just because I really like eggs in a curry sauce. We had these with brown basmati rice. It was easily enough for 4 people, with a little left over. Fry the onion in a little oil in a large saucepan until soft. Add garlic and fry for a minute or so before adding all of the spices and gently frying for another minute (add more oil if needed). Add the cauliflower, tomatoes and bouillon and stir well. Simmer with the lid on the pan for approx 20 mins until the cauliflower is as soft as you like it. 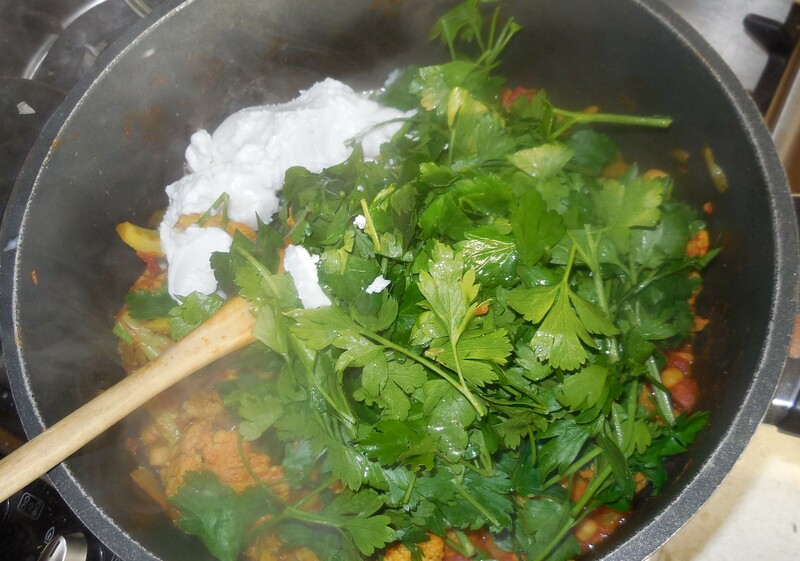 Add the parsley and coconut cream, stir together and cook for a further 5-10 mins. Boil the eggs for 10 mins then put in cold water until cool enough to peel. 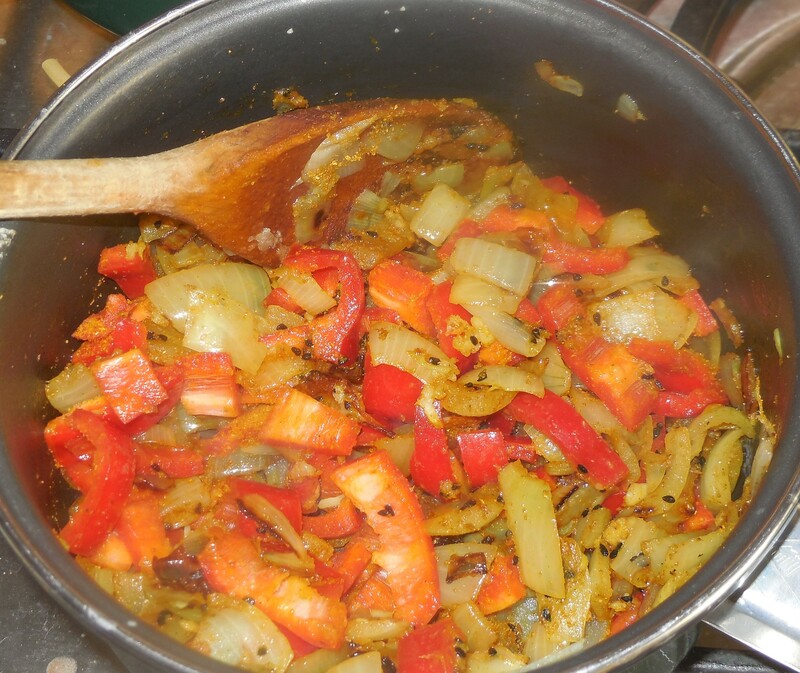 Meanwhile fry the onions in oil until soft, add the garlic, then the nigella and curry powder, and, after a minute or so, add the tomatoes and pepper and cook for 5-10 mins. Add the peeled eggs and continue cooking for another 5 minutes. This is vegetarian, but celery, of course, is not in season, nor have we ever managed to grow it successfully, but I had some in the fridge to use up, so here’s what I did with it. This serves 2 as a main course or 4 as a side dish. Preheat the over to 210C. Wash the celery and cut into chunks about 4-6cm long. Peel the onion and cut into large wedges (I just halve small onions). Put the celery and onions in a dish (mine is 21cm square) and toss them in a little oil. Put in the oven for approx 25 mins until fairly soft – stir once or twice during this time. Meanwhile boil the Puy lentils in water for about 10-15 minutes until soft. Set aside, then boil the macaroni. This should still be slightly hard when drained as it will cook a bit more in the oven. In a food processor blend the walnuts, bread (broken into pieces), half of the Parmesan and about a quarter of the rosemary. In a saucepan whisk together the butter, milk, flour, black pepper and the rest of the rosemary. Whisk over heat until sauce starts to thicken, then add the rest of the Parmesan and cook until melted. Remove from heat. When the celery and onion are cooked, turn the oven up to 220C, add the lentils and macaroni and mix it all together. Pour over the sauce, then top with the bread/nuts mixture. Return to the oven for about 10 minutes until browned. Serve – we had it with green salad. 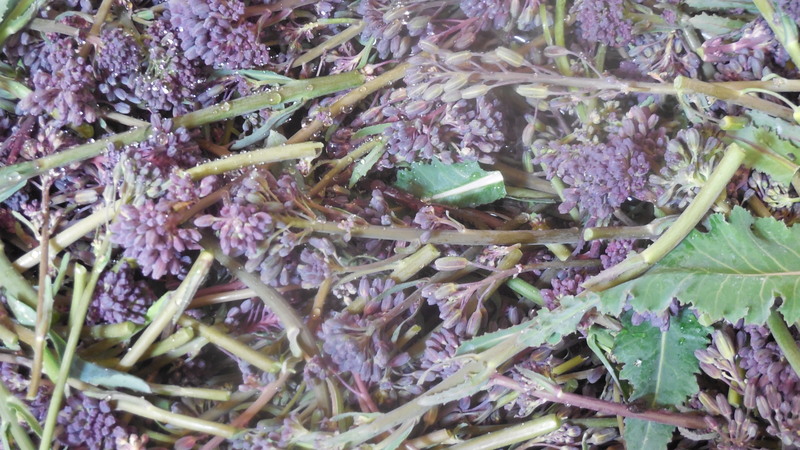 I look forward to purple sprouting broccoli all winter but, when it’s finally ready to eat, we tend to have huge quantities of it for a month or so. It doesn’t freeze well on its own, but I make several of these lasagnes to freeze and eat once the short broccoli season is over. It was inspired by a recipe from Jamie Oliver’s Jamie at Home for ‘Incredible baked cauliflower and broccoli cannelloni’ which I vegetarianised and altered to suit the ingredients I had to hand, but liked the result so I’ve not actually tried Jamie’s! Wash the broccoli and, if you have any long or thick pieces, roughly chop these. Boil or steam to your preferred texture – soft or crunchy. While the broccoli is cooking, whizz up the following in a food processor: olives, mixed herbs, red wine, crushed chillis and tomato puree. I do this in a processor mainly to puree the olives as one of my children doesn’t like them but doesn’t notice if they are pureed. If your family are all olive lovers you could just chop them a bit by hand. Crush or slice the garlic and fry gently in rapeseed or olive oil for a minute or so until starting to soften and turn brown. As soon as this happens stir in the olive/tomato mixture and take off the heat. When the broccoli is cooked drain it, keeping the cooking water. Stir about 100ml of the water into the olive/tomato/garlic mixture then mix this with the broccoli and add a tin of chopped tomatoes. Add more water if it doesn’t look quite liquid enough for lasagne sauce. For the sauce, whisk together the milk and flour with the mustard and a little pepper. Add grated cheddar to taste. Cook, stirring constantly until thickened, remove from heat. Assemble the lasagne in a deep dish/baking tray – mine is approx 30 x 25cm. Put a little sauce on the bottom, then a layer of lasagne, more sauce, more lasagne, etc. 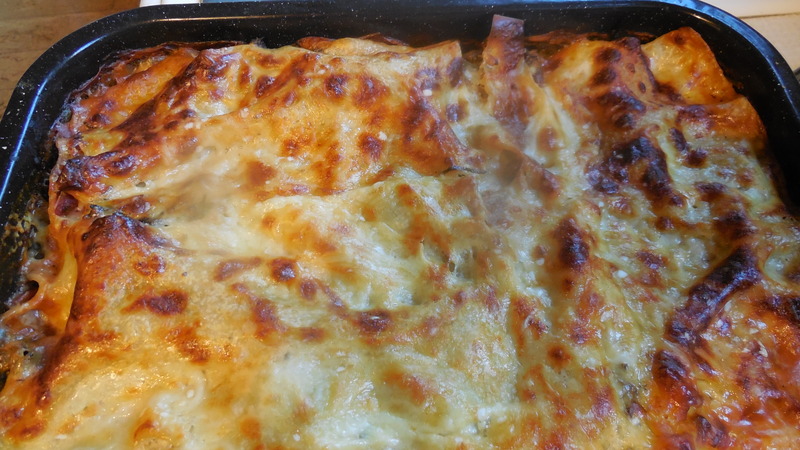 You’ll get 3-4 layers of lasagne, depending on the size of your dish, but you want to finish with a layer of lasagne, then cover this with the cheese sauce and grate the parmesan-type cheese on top. Bake at 180C for about 40-45 mins until brown on top. Leave to stand for 5-10 mins before serving.